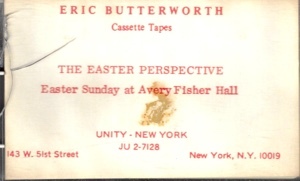 Forty years ago, in 1979, Eric Butterworth gave this Easter Sunday talk at Unity of New York. It just may be his best talk on what Easter is all about. 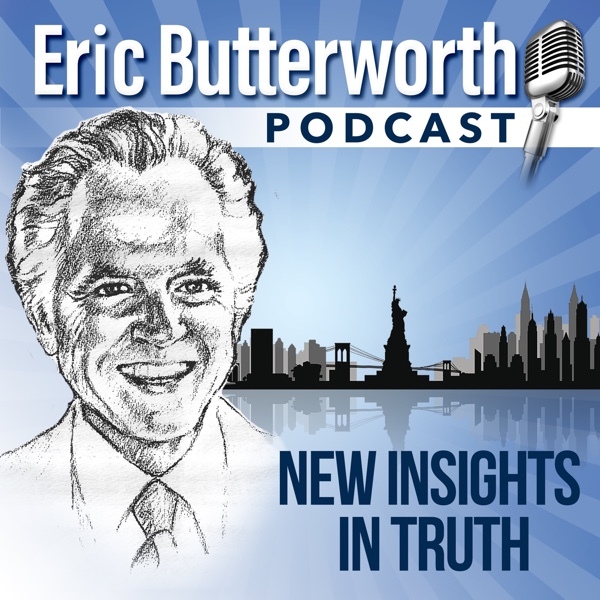 As you will see, for Eric Butterworth Easter is not about something that happened 2,000 years ago. Rather it’s about something that is happening now. The talk certainly has many intimations of Discover the Power Within You and, like this famous book, it’s not about Jesus so much as is it about you and me. I have a feeling that there is something in the Easter story that says to each of us, “I want to live in you.” I don’t want you to just talk about it. I don’t want you to sit back and sing songs about it, and listen to the story and go on your way and say, “Ho hum, another Easter. Let’s go out and see the people on 5th Avenue.” We want to live in you. I want to raise you from death to life. I want to help you to find the way from defeat to victory. I want to be a process in you from sickness to health, from failure to victory, to success. I want to live in you. Let’s not complicate the Easter thing by thinking that Jesus showed us all how to resurrect from the dead, because that’s irrelevant... Fundamentally, Jesus demonstrated for you and for me and for all persons who have eyes to see and ears to hear, that if we lift our eyes and look out the right window, we can see allness in illness, we can see all sufficiency in insufficiency, we can see full potentialities even in limitations, and we find the key to overcoming and the key to victorious, transcendent life. This is what it’s all about. This is a reminder that what matters in metaphysical Christianity is not a confession of faith but rather a transformation of mind. I hope this Easter Sunday brings forth in each of us a resurrection. 04-07 Is Unity Christian, Does It Matter? 03-31 What Shall We Feed the Children? 12-16 Can there be peace in Unity?